Over the years our eating style has changed. We used to eat oil with almost every meal, then moved to limited oil and now it’s just about non-existent in our home. So naturally, our latkes recipes have changed as well. One thing that has stayed a constant is making them quickly, easily and without the stovetop frying mess and smell. So if you are oil-free or not, we are sure you’ll enjoy one of these two recipes for the ease and the taste! These latkes are pretty simple and perfect as a main dish, side dish or a simple snack. They are also perfect for Hannukah! 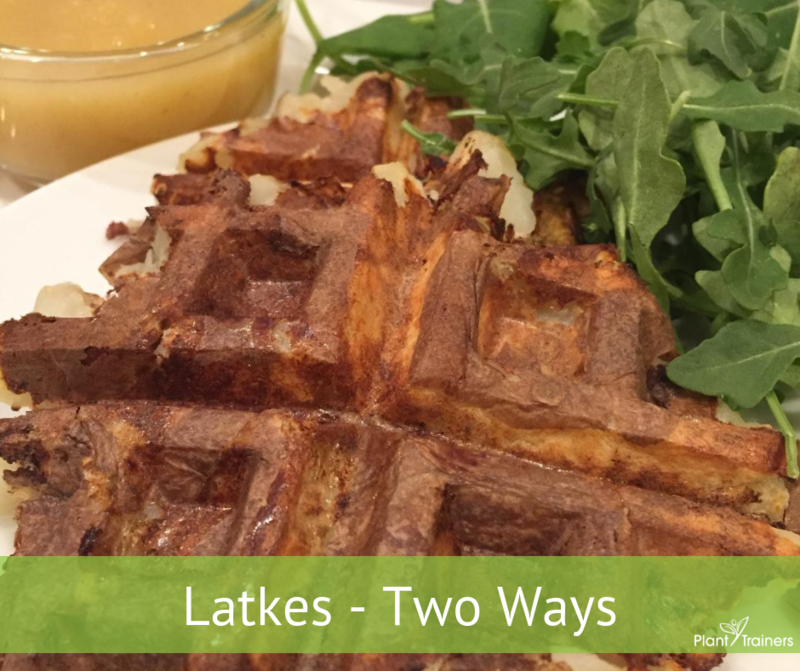 Enjoy these and let us know how you like to prepare your latkes! Place cooled potatoes (with skin on) in the waffle maker and let sit until crispy. This will help you remove it better.